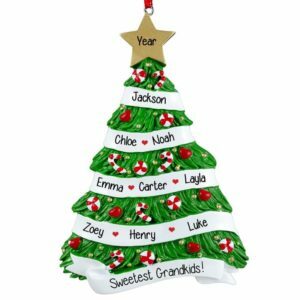 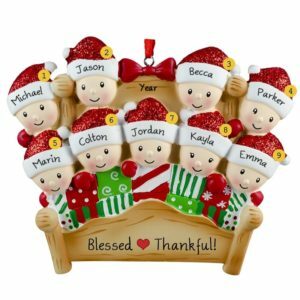 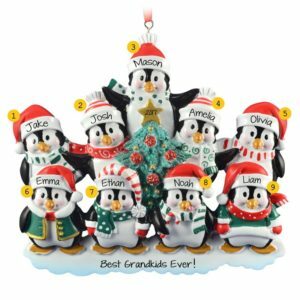 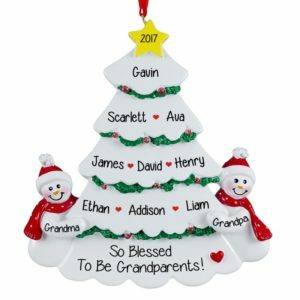 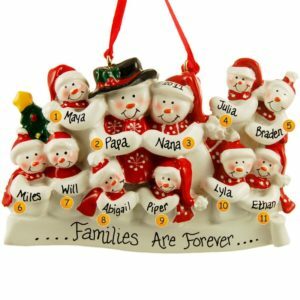 Thank the best grandparent or grandparent couple this holiday season with a personalized Grandparents with Nine Grandchildren Ornament. 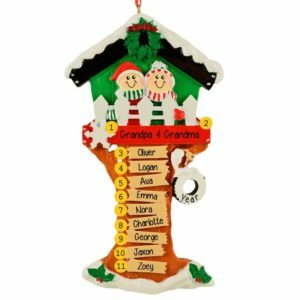 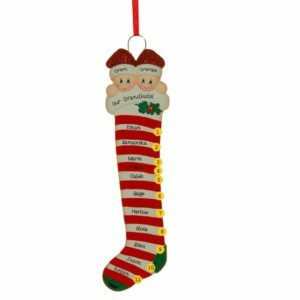 Personalized Ornaments For You offers a fabulous selection of thrilling keepsakes that the recipient will surely admire for years to come. 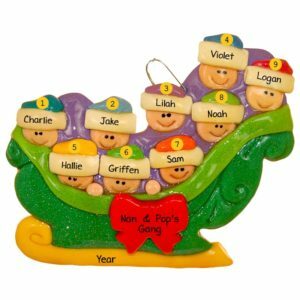 Some of our #1 best sellers feature the grandparents riding in a dough sleigh with their family, a happy couple surrounded by their “sweet-hearts” or reading “The Night Before Christmas” on the couch. 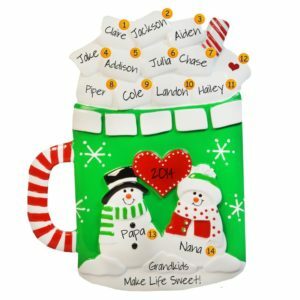 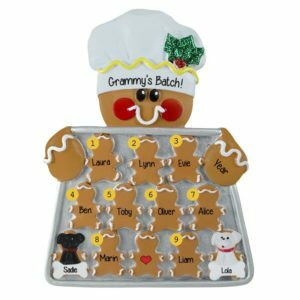 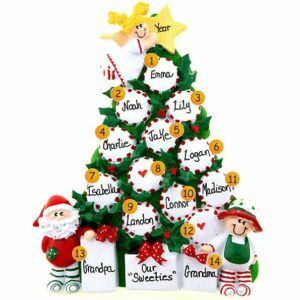 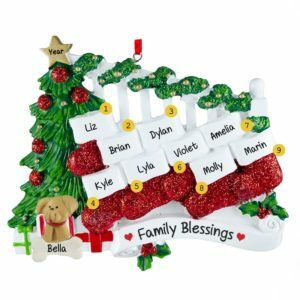 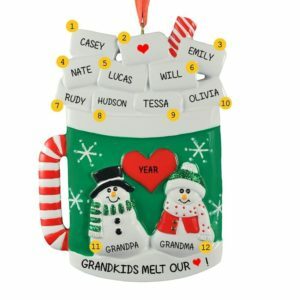 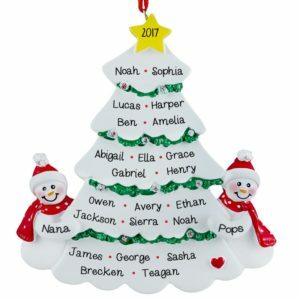 Have one of our gifted writers hand personalize your unique grandparents with 9 grandchildren customized holiday decoration according to your specifications. 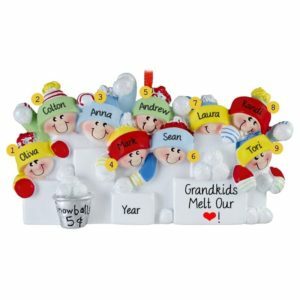 You don’t need to wait until the holidays to send a customized gift idea for grandparents. 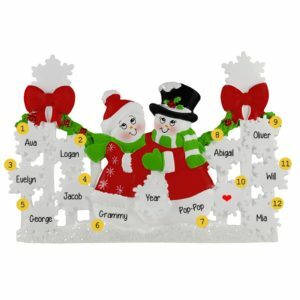 Consider it for a wedding anniversary, Grandparent’s Day or Thanksgiving! 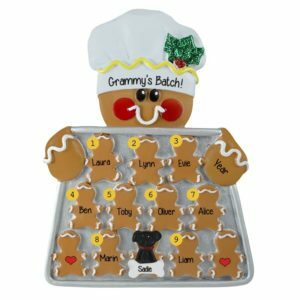 Some customers even order our decorations to share the news of a baby on the way! 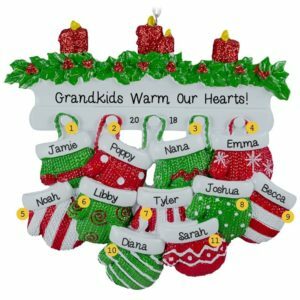 Many keepsakes can be further customized when you add a dog or cat with the pet’s name. 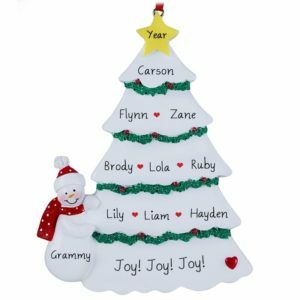 View our entire selection online now and buy early to avoid disappointment closer to the holidays!